OXFORD, Miss. 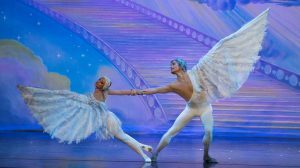 – The Moscow Ballet’s “Great Russian Nutcracker” is coming to the University of Mississippi’s Gertrude C. Ford Center for the Performing Arts at 7:30 p.m. Friday (Nov. 30). The Moscow Ballet has toured annually with the “Great Russian Nutcracker” since 1993. This year, the show is being performed in more than 100 cities, featuring the Russian Vaganova ballet and 64 local dancers in each city performing across hand-painted sets for a true holiday experience. Julia Aubrey, Ford Center director and UM associate professor of music, hired local dance teacher Lydia Siniard to teach choreography to 64 young north Mississippi dancers who were selected by Moscow Ballet audition director Yuriy Kuzi to perform with the troupe. The selected dancers, who will perform in specific dances throughout the program, were chosen from 109 children who auditioned Sept. 11. The group has practiced every Sunday afternoon since the audition. Kate Meacham, Ford Center marketing director, said she is looking forward to the production coming to the community. The two-act ballet of “The Nutcracker” has been presented at the Ford Center in 2004 and 2013, but not by the Moscow Ballet. “The Nutcracker” is a fairy tale story about Masha, a young Russian girl who dreams that her toy nutcracker transforms into a prince to protect her from villains such as the Mouse King. The “Great Russian Nutcracker” features a new character from the original storyline, the Dove of Peace, and the character is instrumental in one of the production’s many highlights. When the Dove of Peace escorts Masha and the Nutcracker Prince to the Land of Peace and Harmony at the start of Act II, two dancers balance and leverage with each other to create one stunning soaring white dove with a 20-foot wingspan. A limited number of tickets remain available, so those planning to attend the performance are encouraged to buy tickets soon. Tickets are $50 for orchestra/parterre and Tier 1 Box-level seating, $45 for mezzanine and Tier 2 Box-level seating, and $40 for balcony seating. A 10 percent discount is offered to UM faculty, staff and retirees. Discounted tickets for UM students are $20 for balcony seats only. 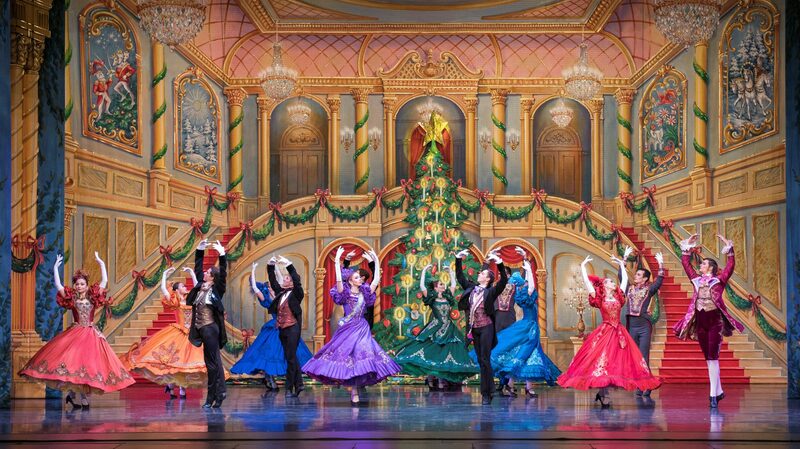 For more information on the performance, visit http://fordcenter.org/event/moscow-ballets-great-russian-nutcracker/.